Artist Tracey Emin has announced plans to move her studio from London to the Kent coast, after withdrawing her appeal against the planning rejection of her proposed David Chipperfield-designed extension. 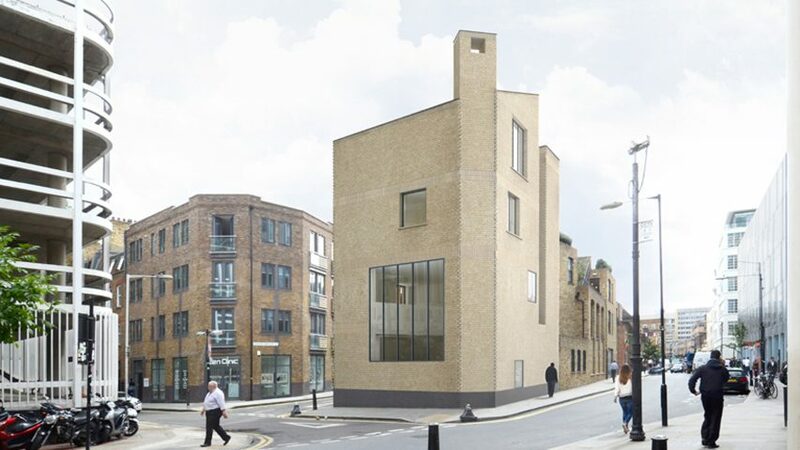 The scheme proposed the demolition of a 1920s block on Bell Lane in Spitalfields to make way for a new five-storey building that would extend Emin's current studio space, allowing her to live and work on the same site. Following a conservation campaign to retain the existing building, planners at London Borough of Tower Hamlets rejected the scheme in February this year. The Turner Prize-nominated artist, 53, initially appealed the ruling. But she has now made the decision to withdraw, and is planning to move her studio to the Kent coast instead. Emin is one of a group of contemporary artists that emerged in the late 1980s known as the YBAs. She is now among a number of high-profile artists departing London for regenerating parts of the British coastline. Margate, home to the David Chipperfield-designed Turner Contemporary gallery, and Folkestone, the site of a triennial art show, have become hotspots. "Why would you want to be somewhere you’re not wanted? What I’m going to do now is move out of London. I don't have any choice on that," said Emin in an interview with the Guardian. "There's places now in Britain that are desperate for artists – Margate's thriving, Folkestone, Hastings. All that Kent coast. And I could have a giant studio and be really relaxed." The artist, whose famous works include My Bed and Everyone I Have Ever Slept With 1963–1995, said that London could be doing more to preserve its creative community. "I'm an international artist who hasn't got enough room to swing a cat at the moment," she Emin. "It does feel like a huge amount of space but I can assure you it's not, especially compared to some of my male counterparts." "A lot of the creative people are having to move out of London because it's not conducive," she added "Berlin, for example, helps artists build studios, helps them find land. Berlin understands that having artists inside the inner city is good karma, interesting." Architect Norman Foster previously told Dezeen that rising property costs in the capital make the exodus of its creative communities inevitable. "It's not like I’ve just come in and saw it as a financial opportunity," said Emin, whose extension plans came up against strong opposition from conservation groups including the East End Preservation Society and Save Britain's Heritage. "If I knocked it down and built a hotel or flats I could greatly benefit. I could build eight, nine, ten flats in here. But instead I employ people." "I just feel I've been pretty bullied by the whole thing and I don't want to be bullied any more. I was scared about having to take all these people on my own – it's a big thing," she continued. "Tower Hamlets says we don't want you, well, there's plenty of other places that do. It's that simple." Emin plans to retain her Spitalfields studio and residence as a secondary workspace.